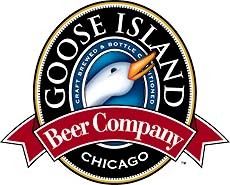 GOOSE ISLAND BREW PUB is open until 2:00 AM on Fridays and Saturdays, and we love to come here for the micro brews. Another thing that you might easily overlook is the homemade concord grape soda, which is delicious, and something that your friends who don't drink alcohol will definitely want to enjoy while you're there. For those who do drink, we recommend any of the seasonal beers, as they are always excellent! Really great service rounds out your experience, and the laid back neighborhood bar atmosphere simply can't be beat.